As anyone who has read a few of out articles will know, I absolutely love dogs. The unconditional love that they give us humans is truly life-affirming, and we should do whatever we can to make sure our dogs have the best possible time in their stay here on earth. Cute dog pictures and videos are a pretty integral part of internet pop culture, and there’s a particular gif that has been doing the round recently, inspiring many an ‘Awwww!’ along the way. 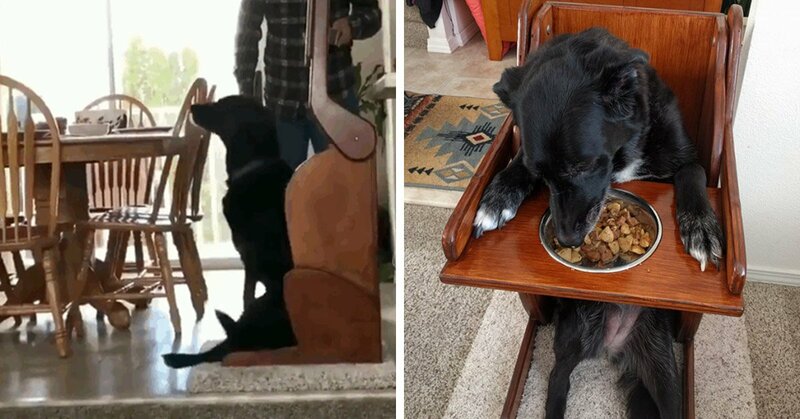 It shows a dog getting into what looks like a chair for a small animal to receive a bowl of food. 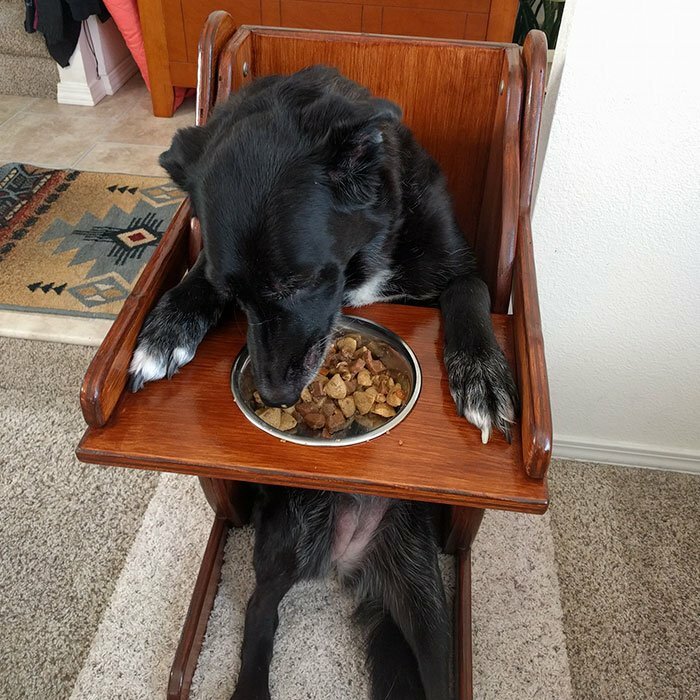 The caption below the gif reads “this dog has a digestive issue so his family made him a chair so that she can actually eat”. As it turns out, the dog in question is named Daisy, who belongs to married couple Doug and Grace Jones. A few years ago, Daisy was diagnosed with an autoimmune disease called myasthenia gravis. The disease causes a number of symptoms, including muscular-skeletal weaknesses. The vet believed that this ailment led to another condition in Daisy, called megaesophagus – a disorder that causes an enlarged esophagus and makes it difficult for the dog to eat food and drink water. As the esophagus struggles to push the food and liquids down into the stomach, it can make life very difficult for a dog, and makes eating food a big choking hazard. That’s why the vet informed the family that they’d have to use a special mechanism called a Bailey Chair to help Daisy out with her meals. 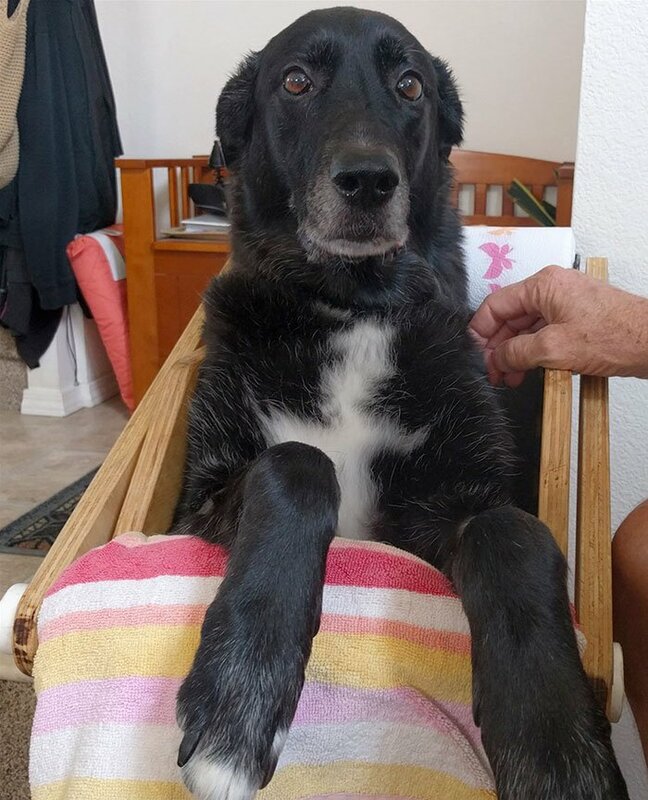 The family quickly set about building their pet a customized chair, making it the right size and as comfortable as possible, since Daisy would need to eat all her meals and sit in it for a while afterwards. Daisy loved the chair, and quickly learned how to use it, even going as far as lowering the little tray with her own paws. Every day, when it was time to eat, Daisy happily hopped in the chair without fuss, eagerly awaiting some munch.